Bavaliya, who alleged that he was leaving the Congress as president Rahul Gandhi was "playing casteist politics in the party", was welcomed to the BJP by its Gujarat chief Jitu Vaghani. AHMEDABAD: In a blow to the Congress ahead of the 2019 Lok Sabha polls, senior OBC community leader and five-time legislator Kunwarji Bavaliya today resigned from the party and is set to be inducted as a minister in the BJP government in Gujarat. Vaghani said Bavaliya will be inducted in the state cabinet later today by Chief Minister Vijay Rupani. In an email to Gandhi, informing him about his resignation, Bavaliya expressed displeasure over the party's functioning in the state, Congress sources said. Bavaliya, a Koli community leader from the Saurashtra region, drove to the state BJP headquarters here after resigning from the Congress and submitting his resignation as legislator to Gujarat Assembly Speaker Rajendra Trivedi. By inducting the leader of the numerically strong Koli community, the BJP is hopeful that voters from the Other Backward Classes (OBC) in the region will tilt towards it. The BJP had faced reverses in the Saurashtra region in the Gujarat polls last year after the drifting away of the Patidar community, following the quota agitation led by Hardik Patel. Bavaliya said he was not able to fulfil the people's expectations while being in the Congress. "I was not getting a chance to work the way I wanted to while being in the Congress due to constant infighting in the party. This (BJP) government is moving ahead with a mission, and I will be able to succeed in fulfilling expectations of the people, the rural populace, poor and farmers," he said. He alleged that Gandhi was encouraging casteist politics in the party. "The way Rahulji is playing casteist politics, I realised that I will not be able to succeed in working in the Congress any more," he said. Bavaliya praised Prime Minister Narendra Modi and said, "Even in the past, the then chief minister and now prime minister, Narendrabhai was very closely associated with me. He used to tell me that we need people like you." "I have been taking note of the way our prime minister has been working. I have supported the direction he has given to the country's economy," he said. "The team of Narendrabhai and Amitbhai (BJP president Amit Shah) is taking the country on the path of progress," he said. Following Bavaliya's induction into the BJP, Vaghani, "The hands of the BJP and Narendrabhai and Amitbhai will be strengthened by this move and the party will take all the communities, including the OBCs together, for the development of the country." "Bavaliya will be inducted into the state cabinet later today by Chief Minister Rupani," he said. Bavaliya's induction as minister will be held at a hurriedly convened swearing in ceremony this evening. He will have to get re-elected to the state assembly in six months. The Koli community is numerically strong in at least 20 assembly seats in Saurashtra, and also in four Lok Sabha seats from the state. 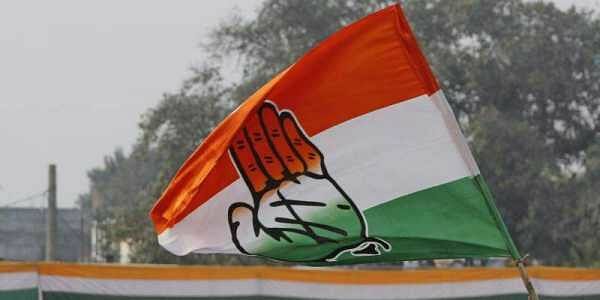 In the state elections held last year, the Congress had won 30 seats out of total 54 in Saurashtra region, 14 more than what it won in 2012. The BJP's tally in Saurashtra reduced from 35 in 2012 to just 23 last year, after the Patel quota agitation. Bavaliya, the five-time MLA from Jasdan, was also a Member of Parliament from the Rajkot Lok Sabha seat in 2009. He had also been the working president of the state Congress unit twice.